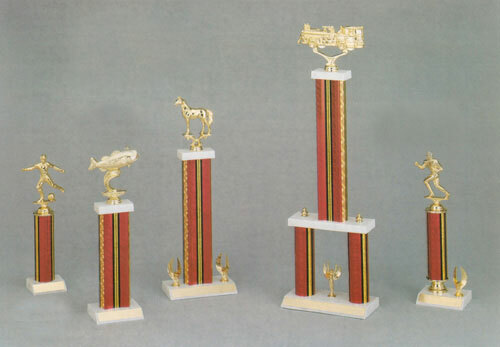 Our line of trophies is available in many styles and sizes with plastic or wood columns. 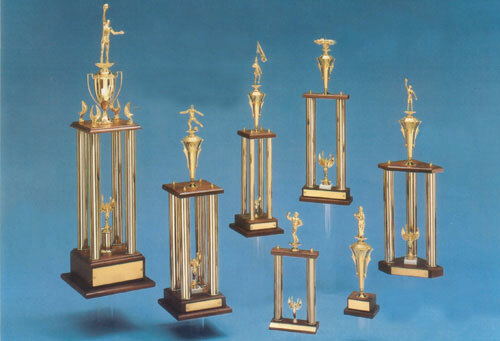 Each trophy comes with a plate for personalization and a wooden or marble base. An excellent selection of figurines, in either plastic or metal, whichever fits your budget. Please don't hesitate to ask if your not seeing what you want. M & K Trophy Engraving Disclaimer: We have provided this web site for informational purposes only about our trophies and trophy engraving. 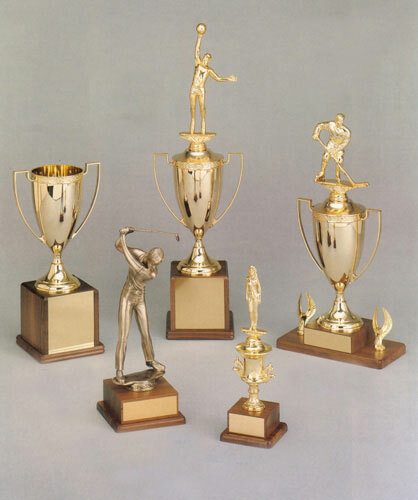 Although we have tried to provide the most current and accurate information, our custom and personalized engraved trophy products and prices are subject to change.